In this inaugural ‘awards’ year, we’d like to present to you our trophy: ‘The Spirit of Simplicity’ as it is officially known. It is more fondly known as ‘Olga’, a nickname coined by Reuben Barclay after receiving his ‘Outstanding Achievement’ award from Olga Koneva Shchekleina (pictured). From this year on, ‘Olgas’ are awarded to i) The Best Developer, ii) for The Best Innovation for an Enterprise, and iii) The Best Innovation for an Independent Software Vendor (ISV). Olgas recognize outstanding contributions to the developer community and excellence in the conception, development and implementation of innovative solutions. 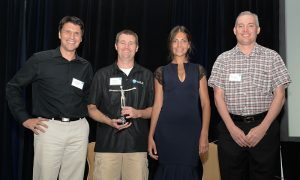 The ‘Best Developer’ award was given to Terry Hackett, Software Engineer at Tyler Technologies Inc. for his devotion to the Genero cause. Terry has posted literally thousands of comments, feedback, and suggestions during the many EAPs he has subscribed to over the years. He has provided invaluable feedback about Genero Mobile, Multiple Dialogs, Parallel Dialogs and Web Components. His competence, attention to detail, and good nature were why the DC Awards Academy chose him for this very first Best Developer award. 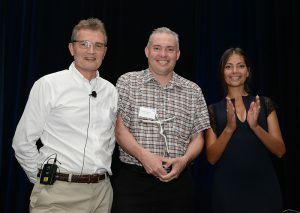 The award was received by Mike Davis on behalf of Terry who had a prior personal commitment. The ‘Best Innovation for an Enterprise’ award was given to ISSSTE, the Mexican healthcare institute serving 10 million civil servants, for its ‘Assiste Infarto’ (heart-attack assistant) mobile application. The application assists patients during a heart attack. Mexican Government Health Minister Mr José Narro declared his intent to improve related prevention services, which provoked ISSSTE’s director Lic. Jose Reyes Baeza to begin development work on the application. It is designed to increase life expectancy after a heart attack. Heart attacks are the first cause of death in Mexico. This extremely intuitive application is made available to the entire Mexican population and was given a nation-wide media launch by ISSSTE’s Reyes Baeza, in the presence of the Health Minister Jose Narro and IMSS director Mr Mikel Arreola. It is expected to save thousands of lives through the management of 3 fundamental challenges: i) hospital proximity and availability, ii) doctor availability, and iii) patient support during the episode. A software ’emergency button’ on the mobile device triggers the process that locates the nearest hospital and notifies the specialist to where the patient is being taken. This way, both doctor and hospital alike are ready when the patient arrives. In the event of an Internet outage, the app makes a phone call to an emergency call centre. Assiste Infarto’s intuitive user interface, its reach, and impact on Mexican society made it an easy choice for this very first ‘Best Innovation for an Enterprise’ award. 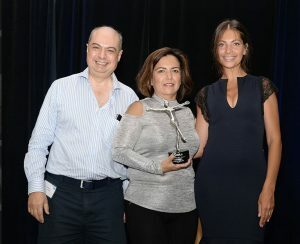 The ‘Best Innovation for an ISV’ award was given to Especialistas en Fondos de Previsón Social (EFP), a leading software vendor in the Mexican retirement funds market. In 2016, Mexico’s largest mortgage lender – Infonavit – purchased from EFP its ‘Sistema de Administración de Fondos para el Retiro’ or SAFRE for short – a retirement funds administration package written in Genero. In 2017 Infornavit informed EFP that they needed to consolidate 3 very large databases holding over 60 million records of worker and lender information going back to the 1970’s, which were stored in different databases. EFP rose to the challenge, choosing SAP HANA as the best solution to this particular need. EFP adapted single-handedly a database driver to interface Genero with the SAP HANA database. As such they were the first company to make Genero and SAP HANA work in concert. This very special, ‘surprise’ award for Outstanding Achievement goes to Reuben Barclay for his relentless contribution to the improvement of the Genero Enterprise product line. 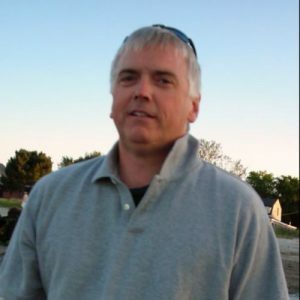 Reuben – a former developer of business applications himself – understands the needs of the community better than most people and has become an advocate ‘par excellence‘ when it comes to arguing the customer’s case. He was chosen for this award because of his dedication, powers of persuasion, technical excellence and basketball skills.